Taking another step in our modernisation plan, we are adding the first of the six new Boeing 737-800 aircraft, which will gradually be added to the short and medium-range fleet by the end of August, 2018. 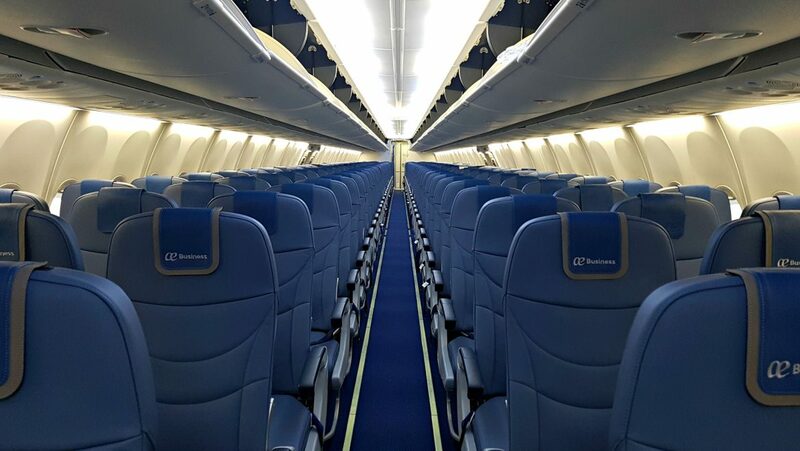 With these aircraft, we will extend the Wifi and streaming service to this operation as the new B737-800’s have a practically identical entertainment system and connectivity to those of the long-distance fleet. In particular, it features Gate to Gate connection, which means that WiFi connectivity is not restricted during take-off and landing, but instead remains active during most of the flight. As with the long-distance fleet, the new Boeing 737-800’s also have a streaming service with which passengers are offered individual, customised entertainment which can be downloaded to their personal devices and a wide variety of audiovisual content for free. We will soon take delivery of a second B737-800 and a third aircraft will also be added to the fleet at the end of August. The three remaining units will arrive in 2018. These aircraft which, with a total of 189 seats, have greater capacity,also have a power point in all seats so that electronic devices can be charged during flights. In addition, compartments for hand baggage have a new design that guarantees more space for suitcases and the LED lighting provides passengers with a renewed atmosphere and a greater sensation of comfort. But if there is one thing about our new aircraft that we ought to highlight it is the spacious luggage racks in response to passengers’ strong demands to travel with their hand luggage on board. Each of these compartments can take up to 6 suitcases of the permitted size, two more than the old Next-Generation 737’s. Check it out in this video. Because the compartments are lower down there is more visibility which also makes it easier to stow luggage. They are also easier to close. With this we hope that the boarding process will be faster and that passengers do not fret about lack of space when stowing hand luggage in the upper compartments. And if that were not enough, the new Next Generation Boeing 737 – 800’s feature an aerodynamic design that reduces fuel consumption and increases speed.